Snort, sneeze, cough…it sounds like one of your fellow horse owners has a cold, but it might just be your horse wrangling with a common, garden-variety cold. Horses catch colds just like their riders. The viral infection can be mild or severe. While the cold doesn’t transfer from human to horse or vice versa, it easily passes from horse to horse. A cold passes from horse to horse by contact. The viral infection affects young horses in particular, though horses of all ages catch the disease. Like with humans, the highly infectious disease takes advantage of poor immunity caused by improper ventilation and every day care. Horses that travel to shows, exhibitions and trail rides face a high risk of being infected as it comes into contact with horses outside the barn. 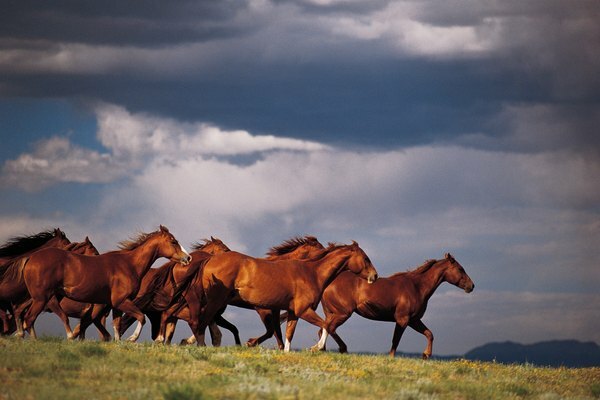 These traveling equines transfer the risk back to their stablemates on their return. The common cold causes several symptoms, not unlike those expressed by humans. 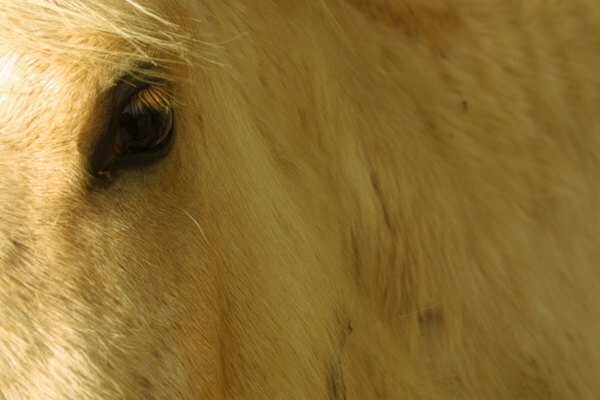 A runny nose with clear to yellow nasal discharge from the horse's nostrils signals the onset of a cold. Symptoms typically start with poor appetite and lethargy. You many see the horse eating slowly or swallowing hard, indicating a sore throat. Symptoms may progress further with the runny nose, fever, cough, runny eyes or eye inflammation, swollen throat glands, and deep raspy breathing. First, cease all activity such as putting the horse out to pasture and riding. Isolate the horse as much as possible, as she is prone to transfering her cold by contact with other horses. Keep her warm by clothing her in blankets. Give her soft, moistened food such as soaked hay and bran mash to avoid aggravating the sore throat. 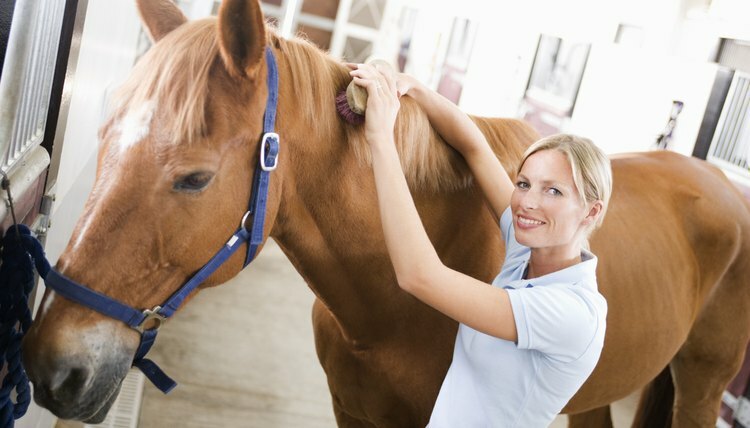 Apply an approved-for-horses ointment similar to Vicks over the throat and chest. Contact your veterinarian for further instructions. Horses can’t wash their hands like humans to prevent a cold. 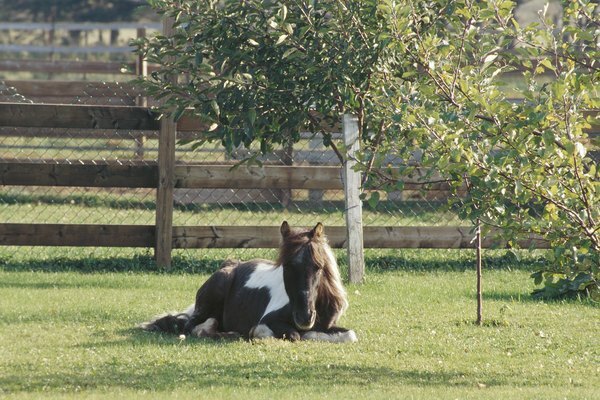 Still, owners can still protect their horse from illnesses such as the common cold. Posting on the My Horse website, Eleanor Kellon, VMD, in “Prevention and Treatment of Respiratory Infection in Horses,” states that “the single most important protection against respiratory infections is promoting a strong immune system in your horse through good management." Provide your horse adequate amounts of vitamin C and vitamin E as well as minerals zinc, copper and selenium. You can do this by providing him with access to a mineral block, which most feed stores stock. Stress compromises the immune system, so after trailering and other stressful situations, give your horse a day or two of rest. Limit his exposure by isolating new horses for two weeks, using buckets from your barn while away, and keeping him away from equines that travel regularly. 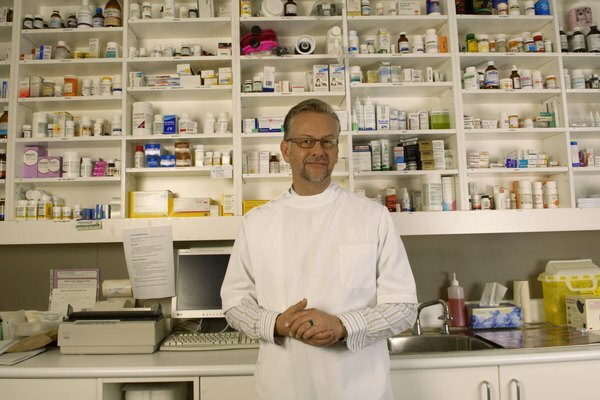 Something more sinister may lurk in common cold symptoms. Influenza appears as an upper respiratory tract infection similar to the common cold. Sources of upper-respiratory-tract illnesses include bacteria, viruses, funguses, and parasites. Any of these may cause symptoms similar to the common cold, but can be fair less mundane. The herpes virus, once caught, sticks to the horse for life, popping up and spreading it to other horses. Anytime your horse displays symptoms of a cold, call a veterinarian. Is it Safe to Kiss My Hamster? Do Guinea Pigs Catch Viruses From People?